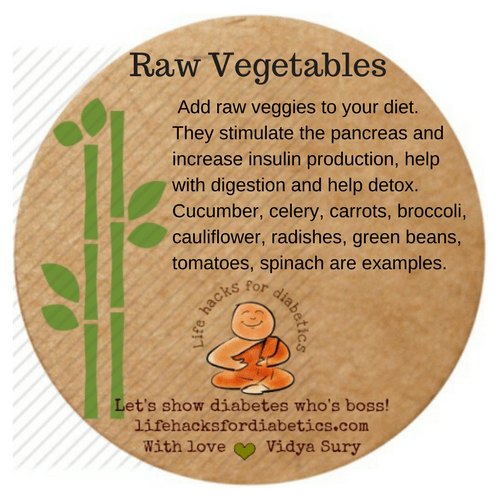 Add raw veggies to your diet. They stimulate the pancreas and increase insulin production, help with digestion and help detox. Cucumber, celery, carrots, broccoli, cauliflower, radishes, green beans, tomatoes, spinach are examples.